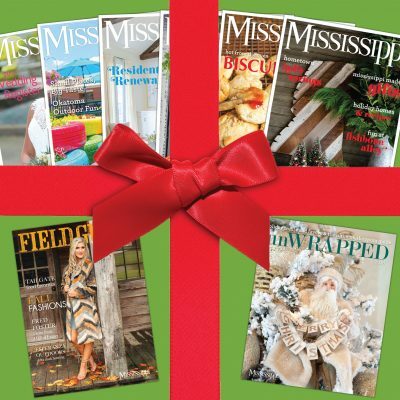 You’ll receive the best of Mississippi in your mailbox bi-monthly—stories, recipes, homes, party ideas and more! Each year’s subscription includes 6 regular issues and 2 special issues (our fall Field Guide and our UnWrapped gift guide). IMPORTANT: If ordering multiple subscriptions, be sure to list the names and addresses of the recipients in the special instructions at checkout.